Pipe cleaning set with 7.5 m hose for clearing blockages in pipes, drains, downpipes and toilets. Four backward firing jets move the hose smoothly through the pipe to effectively clear the blockage. Continuous marking and marking ring show progress in the pipe. 7.5 m flexible quality textile braided hose with extra short brass nozzle for easy movement in the pipe. With anti-kink sleeve and brass connector for durability. 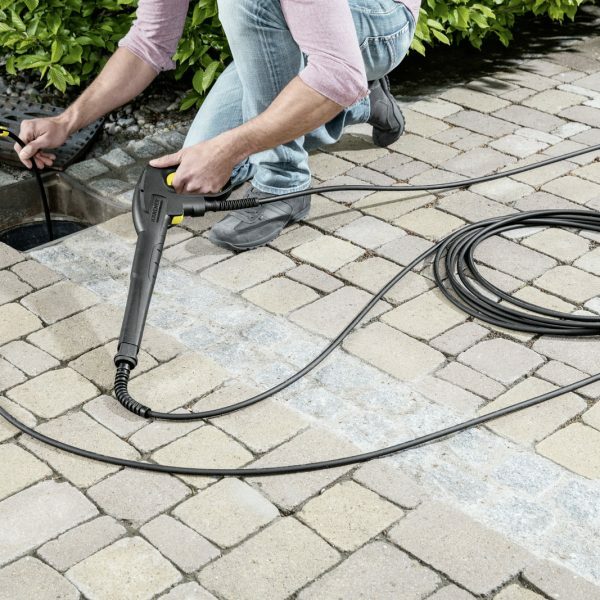 Suitable for use in the home and outdoors with all Kärcher K2 – K7 series domestic pressure washers. For marking to show progress in the pipe. 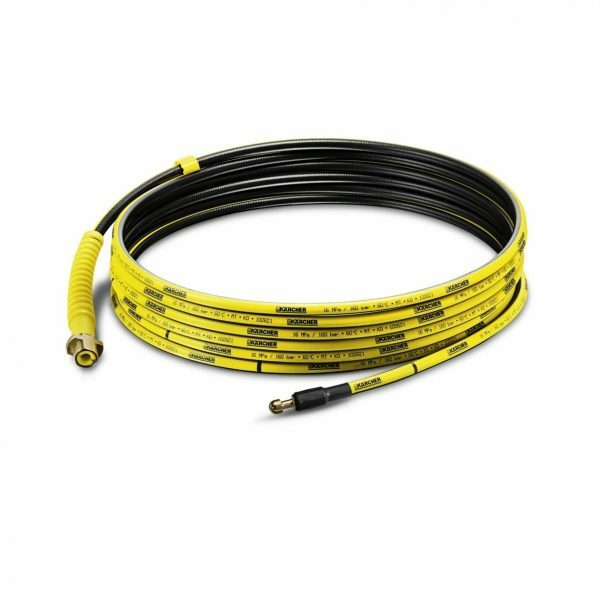 Flexible and durable quality hose. 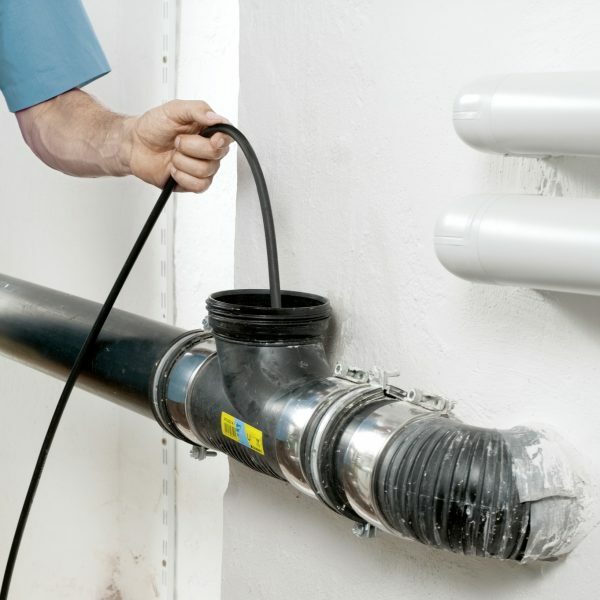 Effective and quick removal of pipe blockages.